An organisation’s Core Values are the guiding principles that dictate behaviour and action. Uphando’s core values are Integrity, Confidentiality, Professionalism, Accountability and Ownership. We are currently doing a monthly Core Values Drive to highlight each of our Core Values. 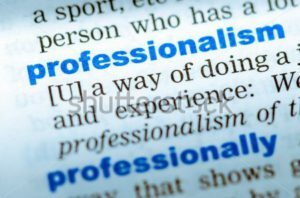 For the month of November we will be focusing on Professionalism. We define Professionalism as an aggregation of behaviours and presentations that show you’re dependable, focused and respectable. Do you agree?